We know that pugs are uncontrollably adorable and unique dogs with discerning taste. At Pug Box, we adore pugs and are excited to have created a special subscription box that caters specifically to all of our wonderful pug friends and the people who love them. 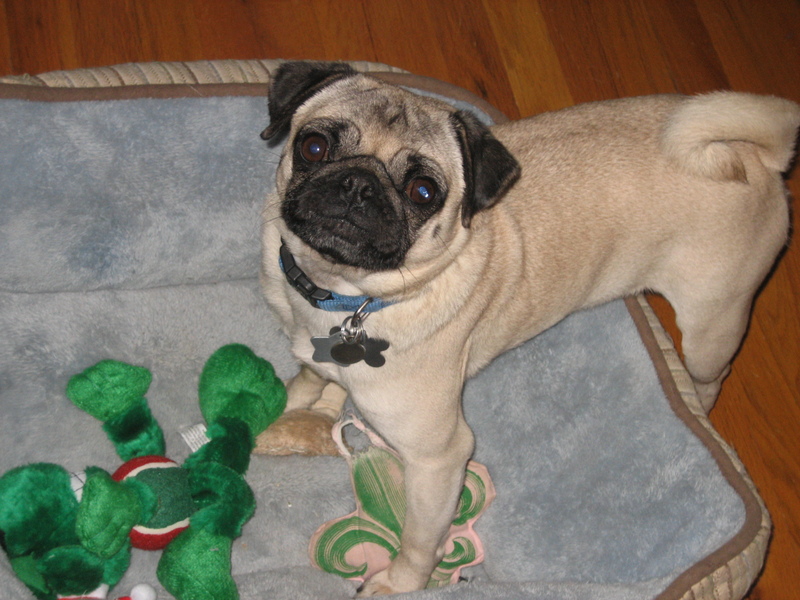 As long-time pug owners ourselves, we are very familiar with the delights of having a pug in the family. Each month we strive to find fantastic toys, healthy snacks, excellent products, and cute pug-themed stuff for you to enjoy with your family. Our pug, a toy and treat expert, lets us know what new toys and treats are her favorite so we can share them with you! We can't wait to send you the best of the best for your pug, so if you have any suggestions or something your pug wants to try, just let us know! Meet our dedicated pug product tester! Nickie is a ten year old pug who loves long walks, tasty treats, cuddling up for naps, snoring loudly, and playtime with her pug parents! She is an important part of the Pug Box family because she has the important job of tasting all the treats and testing out all the toys that go into our Pug Boxes. Once an item gets Nickie’s stamp of approval, we get ready to share it with you. You can learn more about Nickie and meet other adorable pugs on our Facebook page, Instagram account, Twitter , or at aboutpug.com !